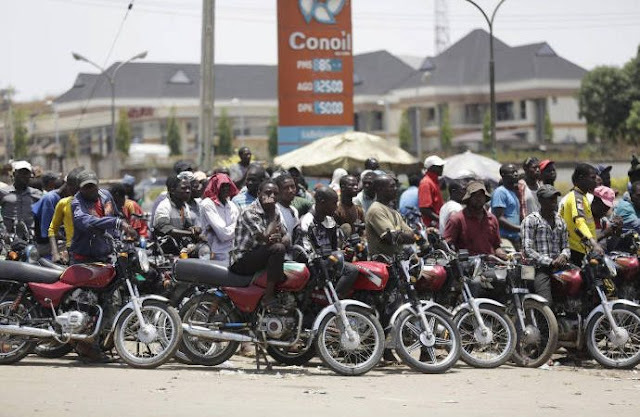 The Association of Commercial Motorcycle Operators says 20 of its members were killed by thieves in the last six months in Kebbi State. Malam Nafi’u Zaki, the Chairman of the association, on Thursday in Birnin Kebbi said that the killings were reported in three Local Government Areas. He said that no fewer than 800 members of the association have abandoned the business for fear of falling victims of bike snatchers. From April to date, we have lost 20 of our members; 11 were from Birnin Kebbi Local Government while nine were from Argungu and Yauri Local Government Areas. They were manhandled, waylaid and sometimes strangled or stabbed to death. We registered 4,000 members as at last year; most of them were from neighbouring villages. But this year, we have only registered 3,200 members. We are aware of the circumstances behind the low registration; they were no longer at ease in operating their routine commercial services, Zaki said. According to him, the association hardly spend a month without recording incidents of motorcycle snatching. “Our members are in dire need of security protection as lawful and bonafide indigenes of the state,” he said. Zaki called on the State Government and security agencies to come to the rescue of the association by tackling the menace. He, however, warned members of the association against taking law into their hands when such cases of snatching occurred. “We want to avert a situation in which our members would resort to taking law into their hands. That is why we are urgently calling on the authorities to take proactive measures,” the chairman said. He said many of the youths rely on the commercial motorcycle business as their means of livelihood. “We are sure that the authorities and security agencies would put the ugly trend into proper check,” he said.